New in stock...a boo boo bus charm! These richly-detailed pewter charms are adorable and three-dimensional! The charm is made of pewter, the clasp (optional) is made of Tibetan silver. Design your own charm bracelet, necklace or ankle bracelet! Or, clip the charm on a key chain, key ring, purse clip, or earrings! Made of lead-free, nickel free Tibetan silver. 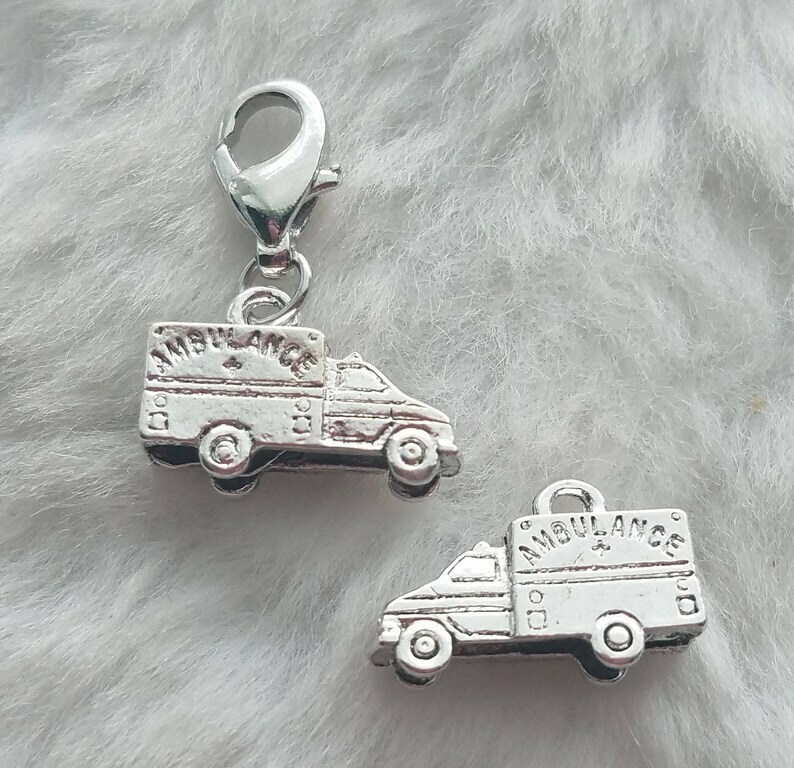 We have HUNDREDS of charms that are not listed on our site. If you're looking for something special, please message us. Kneeling Pole Dancer Charm - Ready to Wear - with FREE Scorpio Pose Charm!